We are extremely proud to share with you our latest fun-raising activities these last couple of months, ending the year 2018 in an amusing and productive manner. If you are new to our mailing list, we at Dalia believe that community giving is an important element in achieving durable development, and this community giving can vary in type, such as cash and non-cash resources. The community philanthropy takes into consideration the environmental dimension as well as the social, cultural, and the local economy. We also believe that when we are practicing community giving we are enjoying it, because in the end the benefits will disburse to us all. That is why we fun-raise and not fundraise. 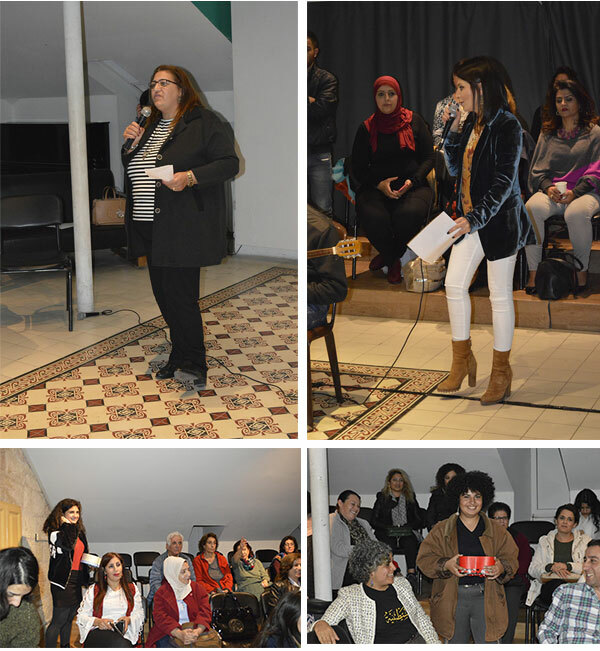 Inside one of the most important community cultural centers in the city of Ramallah, and once home to a renowned Palestinian scholar, The Khalil Sakakini Cultural Center, hosted Dalia’s first annual Social Change Auction. This event is our effort to support local community solutions and initiatives in Palestine. 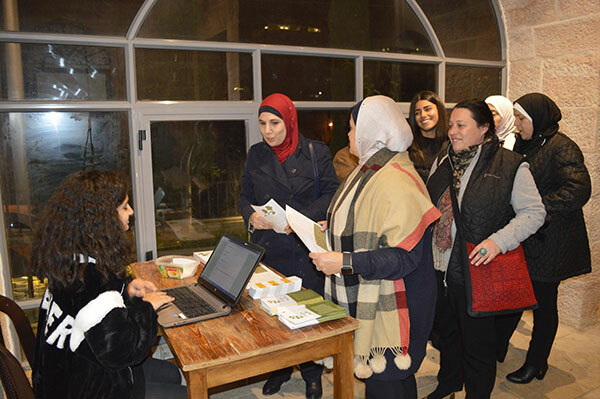 The event is similar to an auction, except that selected initiatives do a pitch about their initiative and how it contributes to community development in Palestine, In return, the attendees are welcomed to support the initiatives by offering donations on spot (live crowdfunding). We have adopted this model from The Funding Network. We arrived to the center at 4:30 in the evening to prepare for the smooth transition of the event. Volunteers were around to set everything in order, making us believe in the true value of community giving. 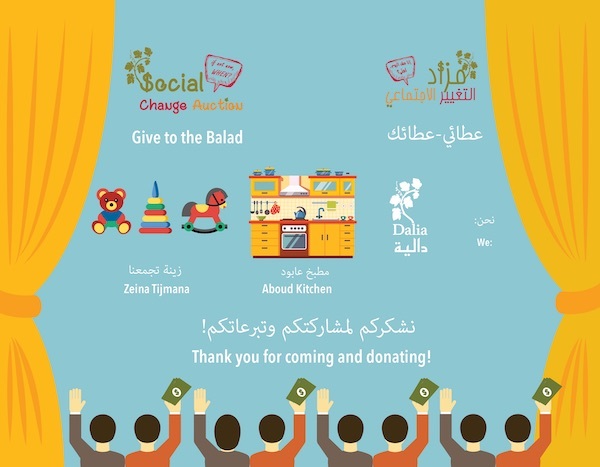 Two initiatives were selected by a committee representative of our local population to take part in the Social Change Auction. 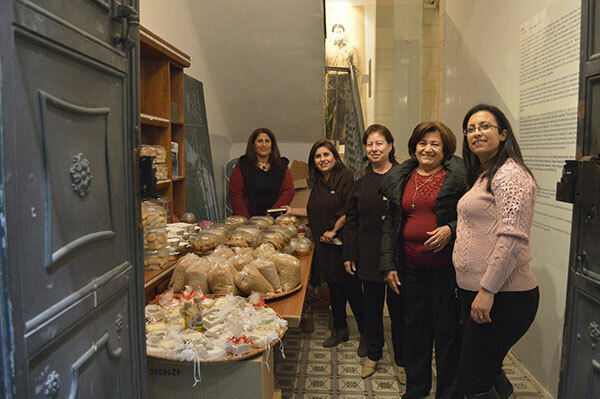 The first, Aboud Kitchen, where The Barbara Women Society in the village of Aboud plan to establish a kitchen to generate income for their current and future activities. Through this kitchen they aim to provide job opportunities for the local population, as well provide healthy meals for new-working mothers, who often rely on the purchase of fast food. At the same time, the kitchen aims to revive local dishes that are disappearing as they will also provide cooking classes. All of this in an effort to continue with the activities for the elderly day care center, and promote local tourism in the village, and save the culinary heritage in Palestine. 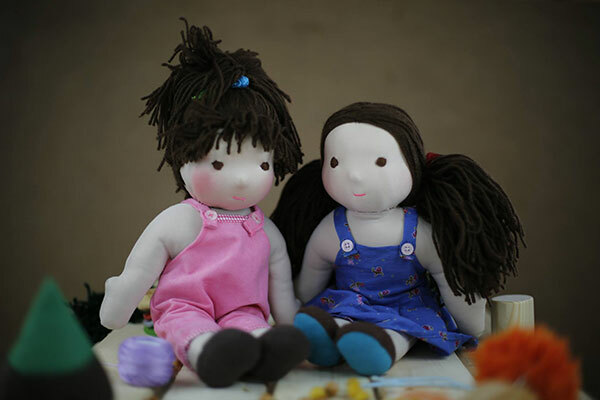 The second initiative, Zeina-Tijmana with the Zeina Cooperative, gathers women from the Bedouin community of Um Al Naser, North of Gaza, to produce handmade toys, in order to empower women economically, and provide income to support their families. The toys are made up of cloths or wood, as it is their belief in the importance of using safe and environmentally friendly materials for the children. The cooperative also links these women with civil society organizations working with children to achieve their mission and vision. The smell of the reception hall was filled with mouth-watering local cuisine. 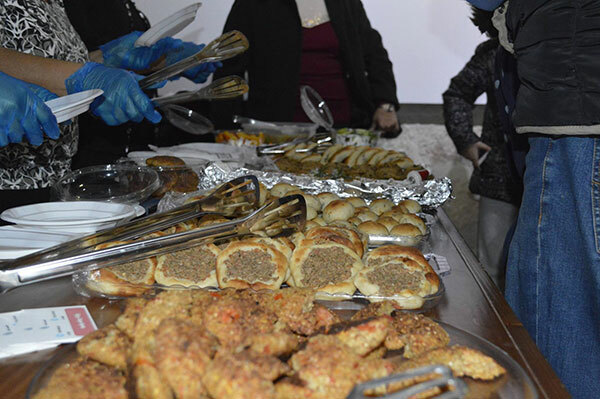 The women from the Barbar Women Society were moving around with trays filled with hand-made local pastries, Mu’ajanat, and special seasonal delicacies famous in the village. This was a golden opportunity for them to show off their kitchen. To be fair, and as a result of the siege on Gaza, I have been in constant contact with the representative of Zeina Tijmana to try and showcase their toys at the auction. After many trials and closures at the border and checkpoint, preventing all those volunteers who had permits to enter Gaza and who offered to bring some items, we managed to locate 7 toys at an international NGO in Bethlehem that haven’t been sold yet. I didn’t want to pass up this golden opportunity, so I met up with one worker and took the toys. I ran downstairs to greet the children from the Kamandjati Music Conservatory, and encouraged them to give us a wonderful performance. 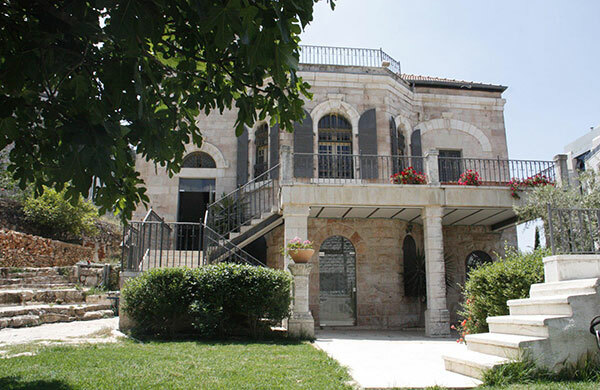 On my way up to the attic, the location of the Social Change auction, the ladies from Aboud offered me delicious cheese and Za’atar (thyme) pastry. People started flocking around 6:00 in the evening, and after an hour of mingling, and tasting the food, they headed up and enjoyed a wonderful performance by the Kamandjati children choir. Immediately afterwards, the MC (Master of Ceremony) welcomed everyone present and explained the process of the auction, meanwhile I connected by phone with the leader of the initiative in Gaza. She gave her 2-minute pitch, and answered the questions of all attendees. The next representative of Aboud Kitchen initiative did the same. And the live crowdfunding began. Hands were thrown in the air, announcing the amounts they desired to give to each initiative. Wallets were being opened. It was very exciting to witness. After decades of international aid flocking in Palestine, changing our traditions of community giving also known as Al-Ouneh, and undermining our role as givers to our community, people were extremely happy to take part in this live grant-making process, believing that this form of solidarity will benefit them and our community in our future. That night, we were able to raise 2660 NIS for Zeina Tijamana, and 2610 NIS for Aboud Kitchen. This is true community giving! Team Dalia would like to extend their gratitude to everyone, especially the volunteers, who made this first Social Change Auction possible and successful. We really hope to see you next year! 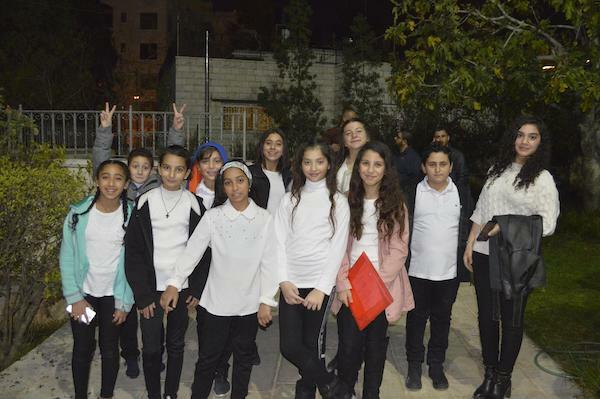 Our partners in the Education Fund: Esnad For Student Support, organized a Quiz Night with Quiz Night-Palestine. The tickets sales will go towards providing more scholarships for Palestinian students at local universities. It was a fun night, and slightly embarrassing, as we didn’t know the answers to many questions, but we were able to raise 2500 NIS. 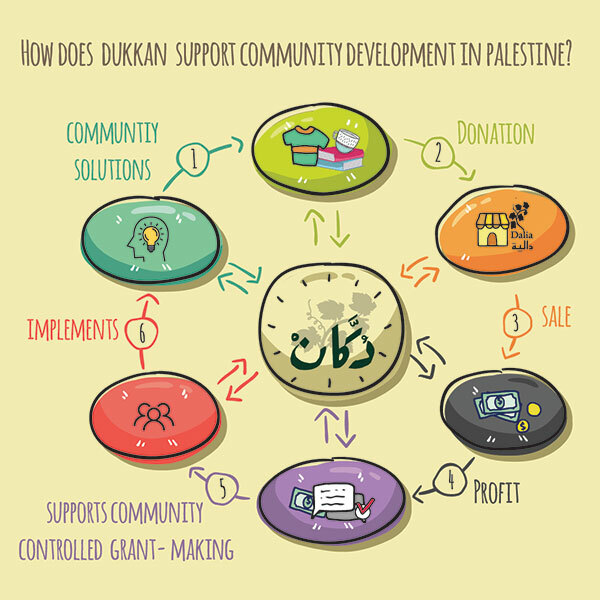 We created this infographic to show you how all donations at Dukkan-our second-hand shop initiative, are valuable, and that giving doesn’t necessarily mean only cash donations. You can now follow Dukkan on Instagram: @dukkandalia. 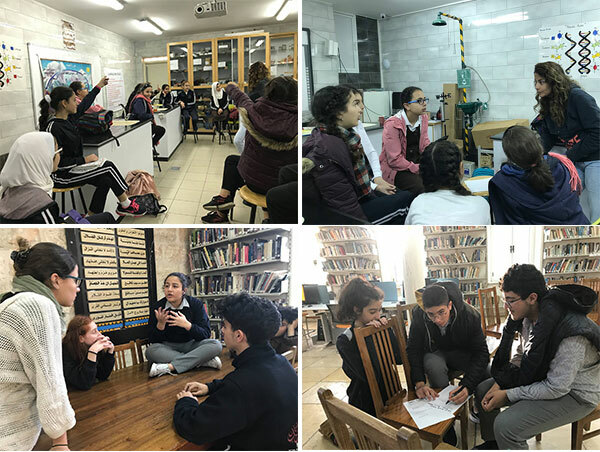 We continue with the IBDA' program in the Schools, in Al Eizariyeh-Bethany and the Ramallah Friends school, with developing new ideas for initiatives and putting a working plan. 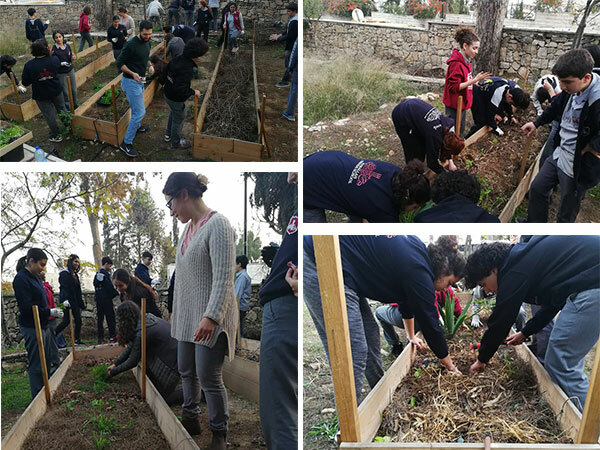 On another note, The Habitat (community garden project) from last year's program, shared with the new students information about the garden in the school. The new students also volunteered in the garden and planted winter crops.